Many agents work with both buyers and renters, though the former often garner more attention in the real estate industry. What if agents could see what renters really want in a property and how much attention a rental listing is getting in comparison to its peers? 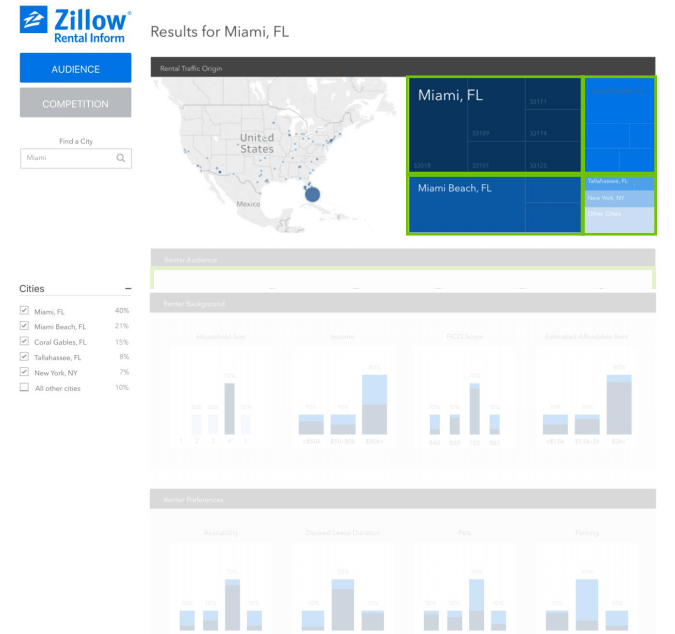 Zillow Group has announced the launch of Rental Inform, a data dashboard comprised of exclusive, real-time rental market and aggregated consumer insight data aimed to help property management companies make decisions about operations, marketing and investments. Rental Inform, which was beta launched at Zillow Group’s Multifamily Forum, is currently only available to select marketing professionals who attended the event. 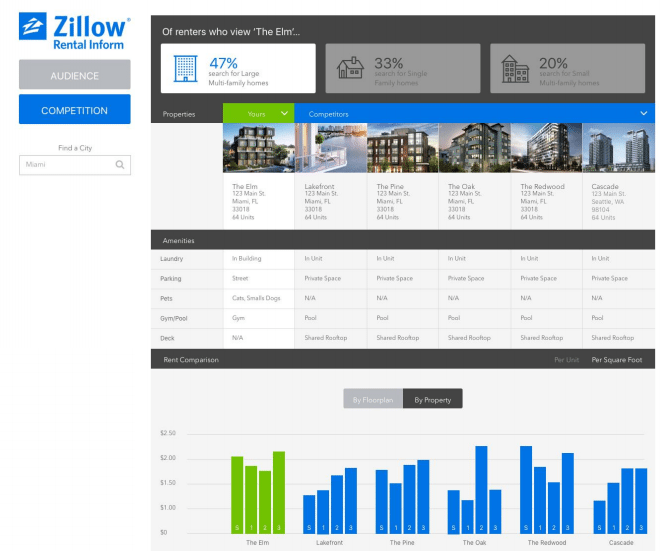 The dashboard’s official launch date is coming soon and will be accessible to marketers that are part of Zillow Group’s Rent Connect — a rental advertising platform that encompasses Zillow, Trulia and HotPads. Rental Inform provides property management companies with consumer search data that reveals what floor type, amenities and price points renters are looking for in their area. 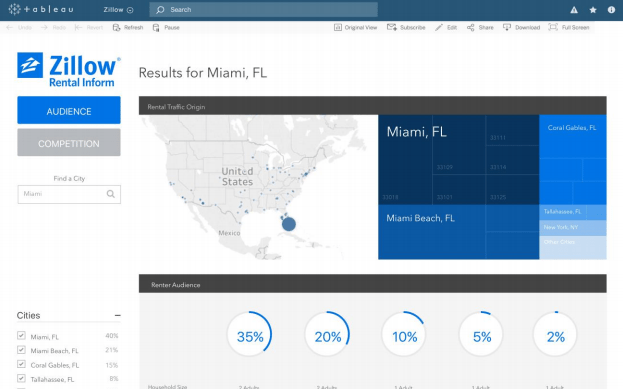 The dashboard also allows marketers to view and compare their listings to other comparable rentals, and analyze the amount of traffic specific listings are garnering. 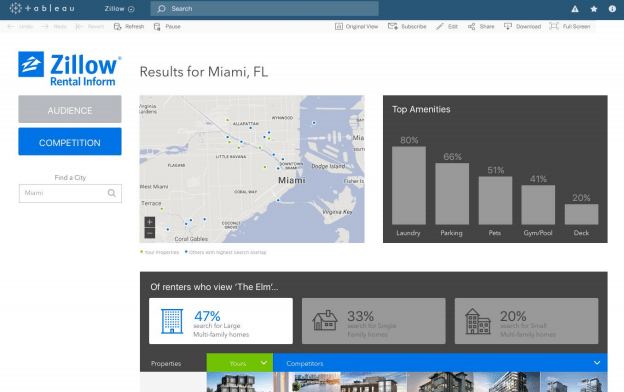 “Rental Inform will provide our valued property management partners with exclusive data to help them understand real-time consumer and economic trends, customized for their local market,” said Michael Sherman, Zillow Group vice president of rentals in a press release. Can the rental housing landscape be improved?